The Terminix Tech named Raymond was well mannered, informative and made sure I knew what he was doing every step of the way. He found the holes that no one else had found. I truly appreciate his going above and beyond to make sure that the problem I had was solved. Thank you again Raymond. Cleanup of crawlspace and sealing were done on same day. Employees were very professional and cleaned up the yard of excess materials. Also put back lattice they removed. Great job, will use services again if needed. I highly recommend. Our Terminix person is the best representative for your company. He is unfailingly polite and always in good spirits. Don't know his name, but he has been servicing our house for years. He deserves an employee reward. Carol and Phil Oswald 124 Horseshoe Landing, Hampton, VA 23669. All technicians were friendly and knowledgable and answered questions so I could understand. Would and have recommended Terminix to anyone asking about service. Happy with services provided.Have responded to any immediate concerns (especially interior) in a timely fashion. Very pleased so far with service. Professional staff who explained why & what was being done. Great service and reliable people doing the work. Have never had a problem in all the years that we have been a client. No nonsense service, quick, easy. Very friendly nd extremely professional. I am extremely satisfied with the service that Terminix has provided me these past few months. The technician was very polite and provided necessary information. I would give him an A+. I am very happy with the services Terminix provides and has provided for years. I'd like to thank Howard Ames for professionally talking me into doing business with Terminix - I was absolutely dead set against it - I thought that the prices were to high and I could get the same service cheaper. I am SOOOO happy he made me a customer. I can really see a difference in my home, the price was fair and customer service is exceptional. Thank you to Howard Ames and Terminix for everything. As a Real Estate Broker, I will definitely be sending Mr. Ames referrals - he is a true asset to your business - one happy customer. I was not home at the time Terminix came, but they did there outdoor job and I was very pleased. Tech was on time and answered all questions responsibly. Also gave some practical hints for insulation improvement. 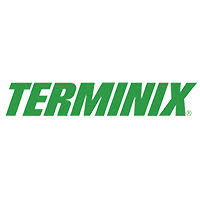 We have been Terminix customers for many years. The customer service is always top notch, if I have any problems they are on it, we have termite and bug protection. They have also performed rodent control as well as sealing our crawl space. I have been happy with all services provided and would highly recommend them! Still waiting for the humidifier install and final inspect. I like when Terminix come out to my home and the same tech comes out. This way he is familiar with the treatment plan and know the areas that needed to Concentrating on. I am very impressed with the service I've received from Terminix. Each representative has been on time, polite, informative and wearing protective foot gear to keep my home clean. The call representatives have also been polite and helpful. Terminix has Great Customer Service also when I need someone to come out, there’s no problems scheduling an appointment. Once the serviceman comes he lets me know he’s there then ask a couple questions in regards to the situation after that the job gets done. Great! The most recent treatment got rid of my ants. Had roof rats in crawl space, then squirrels. Routine checks didn't flag the issue, but when I checked myself due to odors Terminix honored their guarantee and repaired the damage these rodents had done. I'd have liked a better repair to the insulation that had been pulled down, but they did an OK job. Great that the guarantee was honored without any fuss. The bugs are slow to die but I am sure they will in time. I use Terminix for my rental property. According to my tenant, the Terminix technician is very friendly and she’s extremely happy with the service that’s being provided. I had a major roach problem, called Terminex ,after several treatments they were gone. Now treatment every 3 month keeps the issue under control. The worker are always very friendly and helpful,they are efficient and professional. Technician was prompt, polite and super helpful. Thank you for sending him, please do so for all future treatments. Great service with speedy response time. Good service, friendly technicians, good customer service. Very responsive, great availability and easy to work with. Great value!